As I wrote on this blog before, a number of books were published on Hungarian medieval wall-painting in recent years. A French researcher of medieval Hungarian painting, Marie Lionnet wrote a detailed and knowledgeable review of some of these publications, which was published in the journal of the French Institute of Art History, Perspective. Books reviewed include the Festschrift to Ernő Marosi, the book of Mihály Jánó on the research history of medieval wall painting in Transylvania - which was mention in this blog post before - as well as two books to which I contributed (and wrote about here). Marie Lionnet wrote her doctoral dissertation on late medieval wall painting in the Kingdom of Hungary, you can read a pdf version of her conclusions here. The full text of the journal Perspective is only available on a subscription basis. Thanks to the kindness of the author, and with permission of the publisher, I am able to provide the full text of the review, which you can access by clicking here. (This will open in Google docs - you might want to save a PDF copy for easier reading). 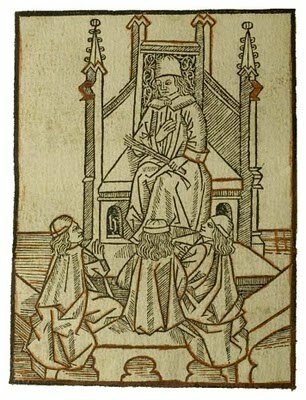 One of the most important medieval art history exhibitions organized in Hungary was the one dedicated to King and Emperor Sigismund in 2006. Shown first in Budapest and later in Luxembourg, the exhibition was accompanied by a catalog published in Hungarian, German and French. 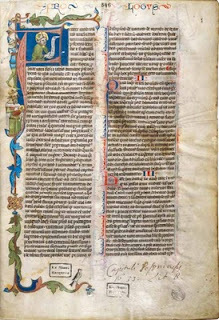 Several other publilcations were also published in conjunction with the event, including the acts of a conference held a year before. The full list of publications can be seen on the website of the exhibition. A few photos of the exhibition are available on my website. 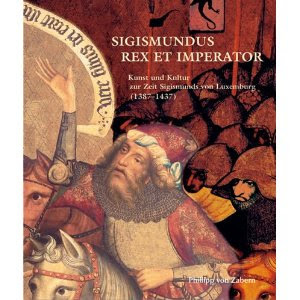 The exhibition catalogue, titled Sigismundus - Rex et Imperator: Kunst und Kultur zur Zeit Sigismunds von Luxemburg, 1387-1437, was edited by Imre Takács, with the assistance of Zsombor Jékely, Szilárd Papp, and Györgyi Poszler. It was published Philipp von Zabern of Mainz (ISBN 978-3-8053-3626-0). Over the years, a number of detailed reviews have been written of this exhibition catalog. I am listing a few of them below. Some reviews also discuss the conference volume, edited by Michel Pauly - François Reinert and titled Sigismund von Luxemburg: Ein Kaiser in Europa. Tagungsband des internationalen historischen und kunsthistorischen Kongresses in Luxemburg, 8-10. Juni 2005.
Review by Tim Juckes in Renaissance Studies (Oxford), 21 (2007), 99-105, pdf version in Google docs or through CiteULike. Review by Len Scales in English Historical Review, 124, (2009), No. 509., 944-946, pdf version in Google docs or through CiteULike. Review by Ana Maria Gruia in the online journal Studia Patzinaka (Journal of Medieval and Early Modern Studies), No. 3 (2006), direct link to pdf version. Review by Ansgar Frenken on H-Net Reviews (H-Soz-u-Kult), 2007. Bulletin du Musée des Beaux-Arts – A Szépművészeti Múzeum Közleményei, 105 (2007). Overview on Chronico.de by Marcel Schwarzenberger, 2006. Hungarian language review by Tünde Wehli in Új Művészet, 2006. Another Hungarian review by János Végh, in Művészettörténeti Értesítő 2007/1. In addition, there is a long review by Štefan Oriško in, Ars (Bratislava), 39 (2006/1), 31-52 (abstract here) and also by Matthew Palmer in Acta Historiae Artium, 48 (2007), 341-349, neither of which is available online. An important review by Klara Benešovská is not only about the Sigismundus exhibition, but also about another important venture dedicated to the Luxemburg dynasty, the exhbition Prague - The Crown of Bohemia, shown in New York and Prague. It was published in Perspective, La revue de l'INHA 2008/1, 138-145. 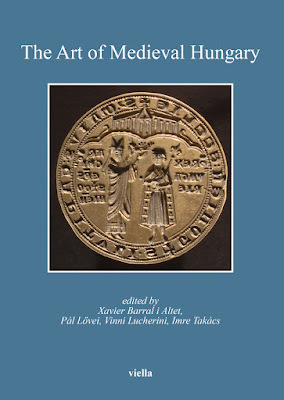 For more on the Luxemburg dynasty, you should also read the review of the conference volume Prague and Bohemia, edited by Zoë Opačić, in The Medieval Review. This period, one of the high points of Central European Art, will also be the subject of an international colloquium organized in Maribor, Slovenia, early next year. Given the tumultuous history of Hungary, archaeology plays a major role in interpreting the medieval heritage of the Kingdom (see my previous post on this). Excavations in this field yielded spectacular results, much of which is now summarized in a new two-volume publication. Titled A középkor és a kora újkor régészete Magyarországon (Archaeology of the Middle Ages and the Early Modern Period in Hungary), and edited by Elek Benkő and Gyöngyi Kovács, the book will be presented to the public tomorrow (October 5). Ernő Marosi, a member of the Hungarian Academy, will present the book. 41 authors wrote the total of 980 pages in these two well-illustrated volumes. The book is in Hungarian, but with English summaries. The volumes were published by the Archaeological Institute of the Hungarian Academy of Sciences You can read about some other publications of the Institute here. You can read an interview with the editors on the website of the Hungarian Academy and in the online historical journal Múlt-kor (both in Hungarian). Hungarian archeology at the turn of the millennium (Budapest: Teleki László Alapítvány, 2003) contains a great number of studies on medieval archaeology, and is available in a pdf version at the website of the Foundation (this is the link to the Hungarian version). 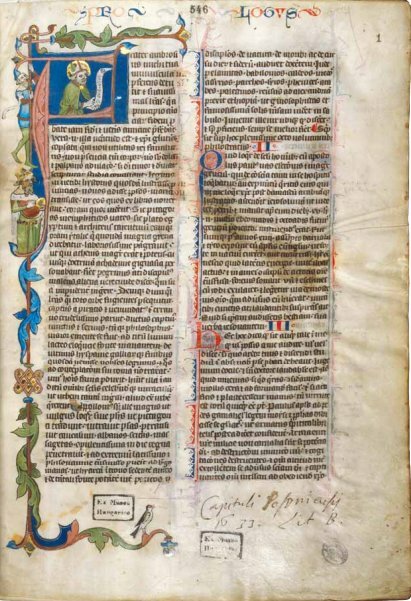 See especially the section on the Middle Ages and the Post-Medieval period, edited by József Laszlovszky on pp. 345-413. Ernő Marosi, the doyen of Hungarian art historians, celebrated his 70th birthday this Spring. To celebrate his birthday, a conference was held at Budapest's Eötvös Loránd University, where he was asked to respond to each and every paper (Disputatio de Quodlibet) - an event, which proved to be a great success. Ernő Marosi was also presented with a beautifully prepared Festschrift, written by a team of international scholars, focusing almost entirely on the history of medieval art in Hungary. Apart from a few studies in French and German, the entire volume is in English - thus accessible to the international scholarly community. Titled Bonum ut pulchrum, the study collection provides a much-needed overview of the questions in the focus of Hungarian art historical research. The book is available from the Art History Research Institute of the Hungarian Academy of Sciences. The book was presented to Marosi at the Hungarian Academy of Sciences on April 16th, here is a report on the event. BONUM UT PULCHRUM. Essays in Art History in Honour of Ernő Marosi on His seventieth Birthday. Eds. Lívia Varga, László Beke, Anna Jávor, Pál Lővei, Imre Takács. Budapest, 2010. ISBN 978-963-7381-97-3. Hb., 567 pp., ills. The contents are available in the Union Catalogue of the Art Libraries Network. The Hungarian art history journal, Enigma, also dedicated its latest issue (no. 61) to Ernő Marosi.